How to search EPF account number by name? How to get PF account number? To get provident fund account number it is mandatory to for the employee to register for the employee provident fund. Once the employer registers the employee, with the EPFO, he/she can request the employer for the PF account number, generally, PF account number is mentioned in the salary slip of the employee or else human resource department will provide the provident fund account number. PF account number search by name is not possible without PF account number. However, EPF account number is used to find out UAN. If the employee lost PF account number after that he/she can post a query in local EPFO office or EPFO site RTI (right to information) section take the details to form the employer. If the employer refuses to give, the details to the employee can make an official query. For that employee needs to fill in name of the establishment and its code and region code and office code. Once this step is completed, the employee needs to fill their name. This one method to track the employee PF account details by name. Provident fund is the deduction from the salary of the employee for the post-retirement benefits so every employee has the right on their employee provident fund. This fund is administered by the EPFO a government entity. After registering with EPF scheme to complete verification process employee can go to check UAN (unique account number) in EPFO site and fill in the PF number given by the employer. 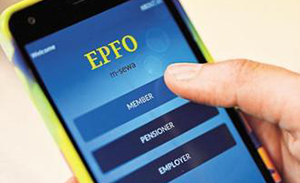 It suggests employers to link employee contact number while registering EPF scheme so both employee and employer can have access to the PF account. An employee can get their PF details via mobile number by giving missed call to 011-22901406 this only available to the employees linked their mobile number to their PF account. Often company does not create PF account in the same city of the state. Therefore, employee needs to find out their PF account branch to extract information regarding their provident fund. In specific circumstances, an employee can lodge a complaint against the employer for not providing the employee with the provident fund information. 0 Comments on How to search EPF account number by name?